Newcomer Family Obituaries - Arlonzo 'Lonzo' Bryant, Jr. 1963 - 2019 - Newcomer Cremations, Funerals & Receptions. Arlonzo "Lonzo" Bryant, Jr., 55, of Aurora, passed away January 24, 2019. He was born December 10, 1963 in Newburgh, New York, the son of Arlonzo and Mary Louise (Morris) Bryant. 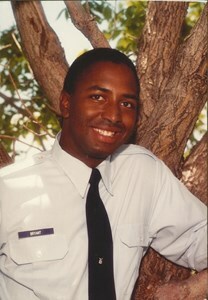 Arlonzo served in the United States Air Force for about 10 years, achieving the rank of Sergeant. Following his military service, Arlonzo worked as an over the road truck driver. In his free time, Arlonzo enjoyed hunting and going to New York Yankees baseball games. He also hosted an internet radio show with his best friend, Greg Lassiter. Arlonzo is survived by his daughter, Alexa Bryant; two sisters, Rosalind Bryant and Karen Bryant; two brothers, Shawn Bryant and Patrick Bryant; aunt, Annie Crowder; two grandchildren, Ariyanna Bell and Raiyah Bell; three nephews, Kordell Bryant, Travian Bryant, and Marcus Bryant; two nieces, Cassidy Bryant and Izabella Bryant. He is preceded in death by his parents, Mary Louise and Arlonzo Bryant, Sr.
To share a memory of Arlonzo or leave a special condolence message for his family, please click the Share Memories button above. Add your memories to the guest book of Arlonzo Bryant, Jr.. I was in Iceland when Arlonzo was stationed there. I worked at the deli on base. Every day he would come and ask for a “Morrie Amsterdam” sandwich. I had no idea what that was so every day he was told no. We talked a lot for those 9 months and he always spoke of his family. He was a wonderful human being and he will be missed dearly. Rest In Peace my friend! I thank God for letting me have Arlonzo in my life he was always the same he never changed and never faked or flaked on anything he was a true friend and brother I really wanted to see my brother one last time my ride canceled on me at the last minute that hurt me I will always have my memories I love and miss my brother Shawn and Patrick please call me 7194600181 RIP ARLONZO. I am so sorry to see this. Arlonzo, you made my life so much better for even just knowing you. Thank you so much for twenty years of friendship. I will forever miss you and you will will be in my heart always. We miss you Arlonzo Bryant! I hear your voice in my head every day, right down to your snarky humor and the back and forth zingers we would share. MoMo misses talking to you and wishes she could hug you. Life just won't be the same for the Mazur's, especially for Jeff Mazur, he doesn't say much but I know you leaving us has left a hole in his heart. RIP.